Want to know why WordPress security is so important? 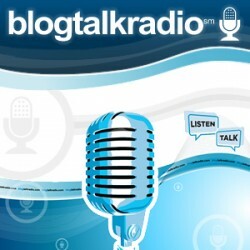 If you're self-hosting WordPress, then listen to our Radio Interview on Night Cap with Larry & Kelli, which aired on BlogTalkRadio April 22, 2010. We discussed our WordPress Security Services, why malicious hackers hack, the roadmaps that hackers use, WordPress hacked sites, and some tips on how you can start securing your WordPress blog or site now. The interview is 30 minutes long and you can listen using the audio player below. And help us spread awareness in keeping WordPress users safe. After listening, click the “Share” button and post to your Twitter, Facebook, etc. We'd like to thank Night Cap with Larry & Kelli for having us on their show, along with their sponsor, *Business and Learning. What is Night Cap with Larry & Kelli? It's a variety radio show where they discuss current events and topics related to business, family, life, and everything in between. This is not a boring show, and at times a bit controversial. So, get your favorite drink and join them! The hosts are Larry Liebling and Kelli Claypool. And they're weekly show airs every Thursday evening at 10pm EST. You can find out more by visiting Night Cap with Larry & Kelli. Want to know more about securing your WordPress site? For more information about our WordPress Security Services, click here. Or schedule us to speak at your next event, just send us an email. If you found this radio interview helpful or have any questions, leave us a comment below. It was certainly our pleasure having you and David on Night Cap last night. The information that you shared with our audience was incredible and something that they can do right away to secure their WordPress website. Thank you for being such wonderful guests and you’re more than welcome to join us again! Thank you so much Kelli. We had a great time and look forward to being on your show again.